Today I had some extra time, so I doodled out a very little cartoon to make up for how I couldn't draw last night. 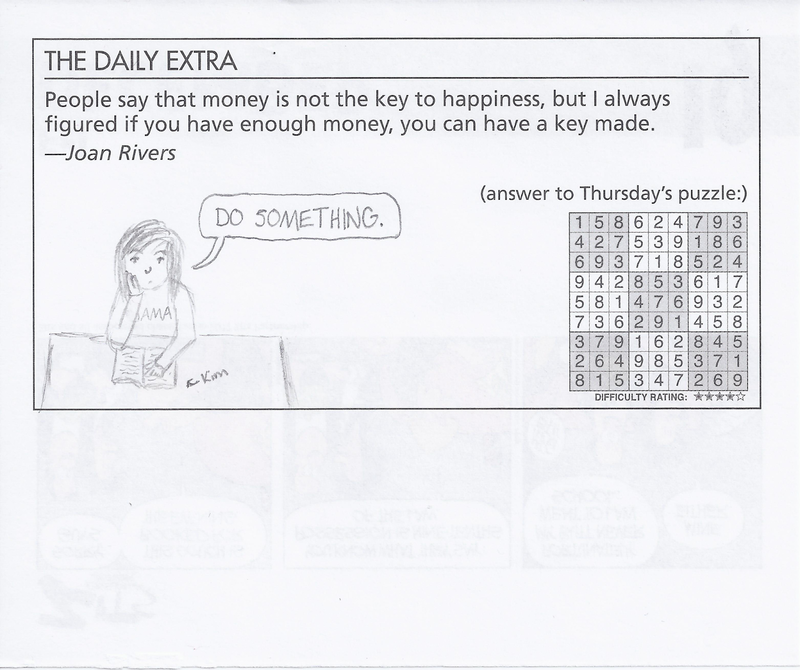 You get it with a Joan Rivers quote and the answers to a Sudoku puzzle you'll never do thrown in for free. Kim was getting on my nerves last night. But then something different actually started happening! And it got more interesting. So that was nice.